1.田淵貴大. 東京を禁煙都市にする国民運動リレー情報9：社会はいかにタバコ産業に歪められているか　世論時報 49 (6): 14-19. 2016. https://www.dropbox.com/s/1nk0ovrv4k6hfk1/%E4%B8%96%E8%AB%96%E6%99%82%E5%A0%B16%E6%9C%88%E5%8F%B7%E2%91%A8%E7%94%B0%E6%B7%B5%E8%B2%B4%E5%A4%A7.pdf?dl=0 (accessed 27 February 2019). 2.ＪＴと電通が露骨な「報道操作」　三万人のための総合情報誌『選択』 7月号. 2016. https://www.sentaku.co.jp/articles/view/16030 (accessed 27 February 2019). 3.Joossens L, Raw M. The Tobacco Control Scale: a new scale to measure country activity. Tob Control 2006; 15(3): 247-53. 4.Ikeda N, Inoue M, Iso H, et al. Adult mortality attributable to preventable risk factors for non-communicable diseases and injuries in Japan: a comparative risk assessment. PLoS Med 2012; 9(1): e1001160. 5.GBD 2017 Risk Factor Collaborators. Global, regional, and national comparative risk assessment of 84 behavioural, environmental and occupational, and metabolic risks or clusters of risks for 195 countries and territories, 1990-2017: a systematic analysis for the Global Burden of Disease Study 2017. Lancet 2018; 392(10159): 1923-94. 6.Tabuchi T, Fujiwara T, Shinozaki T. Tobacco price increase and smoking behaviour changes in various subgroups: a nationwide longitudinal 7-year follow-up study among a middle-aged Japanese population. Tob Control 2017; 26(1): 69-77. 7.Tabuchi T, Hoshino T, Nakayama T. Are Partial Workplace Smoking Bans as Effective as Complete Smoking Bans? 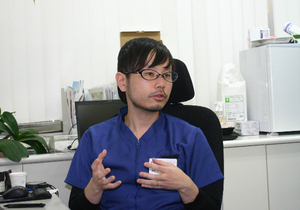 A National Population-Based Study of Smoke-Free Policy Among Japanese Employees. Nicotine & tobacco research : official journal of the Society for Research on Nicotine and Tobacco 2016; 18(5): 1265-73. 8.Chapman S. Public Health Advocacy and Tobacco Control: Making Smoking History. Oxford, UK: Blackwell Publishing Ltd; 2007. 9.サイモン・チャプマン, 矢野栄二, 高木二郎. タバコを歴史の遺物に　タバコ規制の実際. 東京: 篠原出版新社; 2009. 10.田淵貴大. マスメディアキャンペーン. In: 喫煙の健康影響に関する検討会, ed. 喫煙と健康 喫煙の健康影響に関する検討会報告書. 東京; 2016: 536-43.